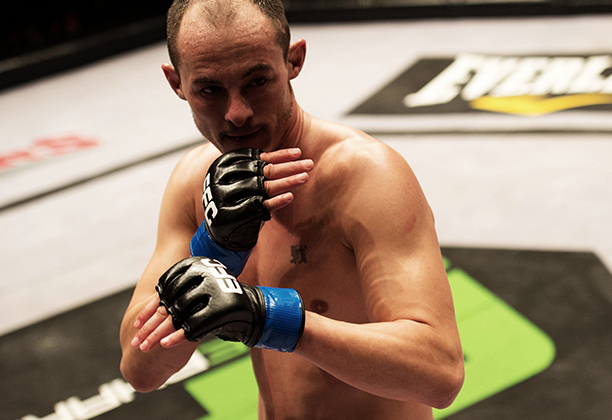 Johannesburg (South Africa) – Frederich ‘The Ninja’ Naumann, EFC AFRICA’s fastest rising star, faces his most brutal test when he clashes with former welterweight champion Dallas Jakobi at EFC AFRICA 22. In his quest for the lightweight title, Naumann sees this as a crucial fight, one he needs to finish inside two rounds. “Jakobi is going to be my final test. If I beat him the way I want to beat him, and that means finishing him, then it will be confirmation for me that I am ready for a title shot,” said Naumann, who believes he could challenge for the title later this year or early next. Jakobi is well known for his brutal ground and pound abilities as well as his strength. It’s his norm to close the distance and wear his opponent down. For this fight Naumann reveals that he has been concentrating only on wrestling and boxing, both to counter any takedowns by the former champ and to give him the sting he needs to KO his opponent.